Apple's new services are seeds that will grow into a multii-billion-dollar garden. As it turns out, it’s not time to play the music or light the lights. It’s not time to put on makeup or dress up right. It’s not actually “show time” at all. So what was the point of holding an event in March when most of the announcements are months away from release? To start a major transition. Apple’s event felt underwhelming and confusing because it’s a dramatic new direction for the company. Selling pretty hardware is easy, but getting people to subscribe to a service each month requires a different kind of commitment and focus. Just like the Mac’s Intel transition long ago, or the iPhone and iPod transitions, investors, fans, and anyone else who follows Apple is going to need time to adjust to what is a massive policy shift for the company. Apple’s hardware didn’t get much stage time yesterday. But more importantly they make money. Potentially lots of money. 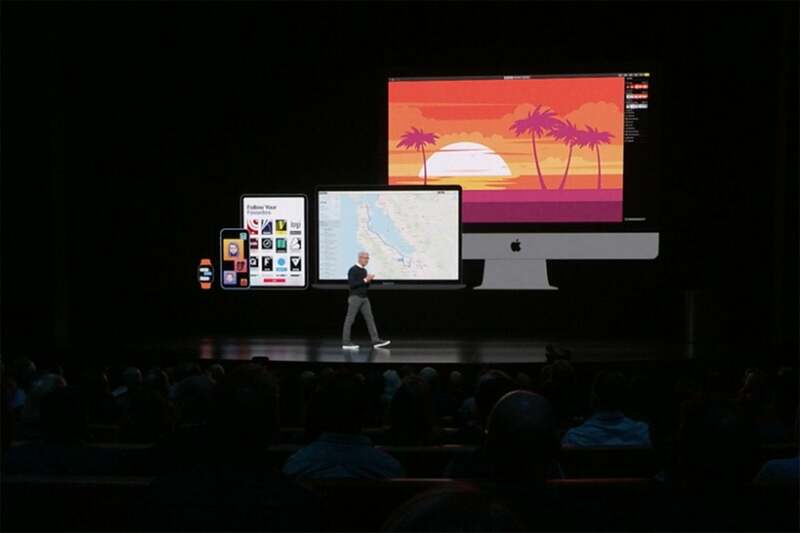 While Apple has gradually growing the Services section of its balance sheet with iCloud, Apple Music, and the cut it takes from developers through the App Store, it’s only scratched the surface of what it can become with the right mix of content, delivery, and experience. But it remains to be seen if Apple can bring all that. While the event was heavy on pomp and circumstance, it was remarkably light on specifics, and the list of things we don’t know is way longer than what we do. Most notably, we have no idea what these upcoming services will cost. But those details will come. For now, Apple is content to tease us with big names and let the industry know that it’s no longer happy with its 30-percent revenue cut. It wants it all. Apple is no stranger to transition. There was the the move from Macs into handheld devices like the iPod, iPhone, and Macs. The switch from OS 9 to OS X. And the biggest of all, the Intel transition. 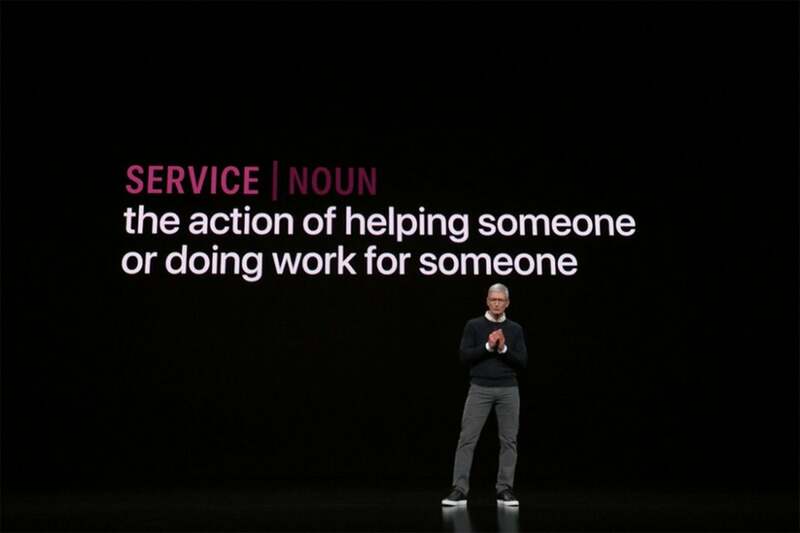 Apple’s services are a transition away from hardware. It doesn’t seem like much now, but the move from PowerPC to x86 processors was a huge deal for Apple. At the time of its announcement in June 2003, Macs were still Apple’s primary product, and the transition meant apps had to be re-written or run in a virtual environment called Rosetta. Older Macs suddenly had a definite expiration date, and a whole cottage industry of FireWire accessories was thrown into doubt. In short, everything was changing. While it took six months for the first Mac to ship, however, the whole transition was complete in just about a year. And users barely noticed. Rosetta was fast and versatile enough to keep up with PowerPC apps. All of the same ports were available. And Macs were faster than ever. What we didn’t realize was that the Intel transition was the first step in a larger shift away from the Mac, a move that would take another decade to fully materialize. The services transition is likely to be just as long. Even if everything Apple promised is indeed delivered by the end of the year, Apple’s new services are a tougher sell than a new processor or device. With the Intel transition, Apple simply had to convince people that new Macs were just as good as before. 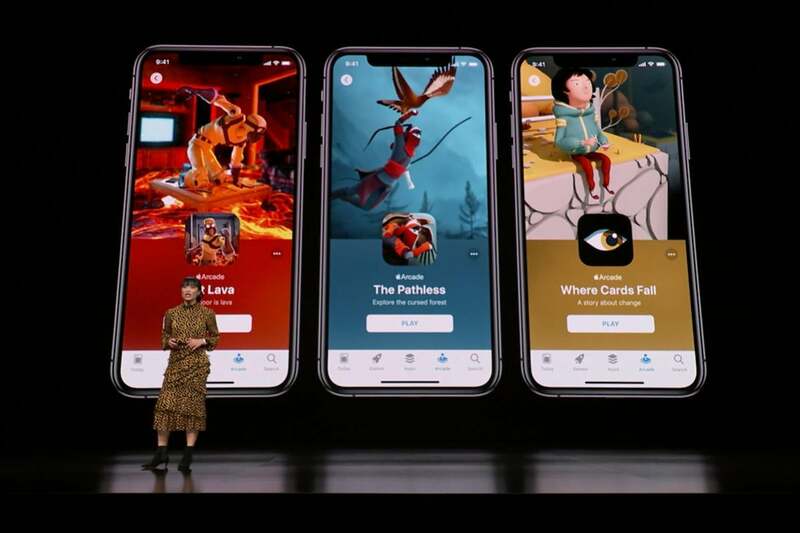 But with Apple TV+, Apple Card, and Apple Arcade, Apple is asking its customers to fundamentally change the way they use their devices. While Apple isn’t necessarily moving away from hardware, it’s recognizing that the way people use their iPhones and iPads are changing. And it’s getting ahead of the inevitable transition away from devices into screens, no matter who makes them. Apple may still sell tens of million of iPhones each quarter for the foreseeable future, but the reality is that fewer people are buying them less often than they once did. When Apple TV+ arrives in the wall you won’t need an Apple device to watch it. That trend is only going to continue. Apple’s solution is to sell services that both supplement and augment its devices and give them value over longer periods of time. But it’s also about expanding the Apple brand. Most telling about the new shift is that its new Apple TV channels and TV+ service will work on devices that aren’t made in Cupertino. I’m willing to bet that Android phones are next. It started with Apple Music and Android. What seemed like a small recompense to existing Beats Music subscribers has given way to a larger strategy that brings the Apple brand to a wide variety of devices. Apple Music works on Android Auto. Apple recently added support for Chromebook. It even works on Echo devices. By expanding to smart TVs and Roku devices, Apple is splitting itself into two parts: the hardware seller and the services purveyor. Apple wants to eventually become as ubiquitous in services as both Netflix and Google. As we’ve seen with other transitions, things will get lost along the way. Namely, Apple’s identity as a hardware maker. A new identity doesn’t necessarily have to be a bad thing, but it all depends on how Apple handles it. Selling a video service or a credit card is very different than selling a shiny piece of hardware, especially since there are established big-name players that control the game. 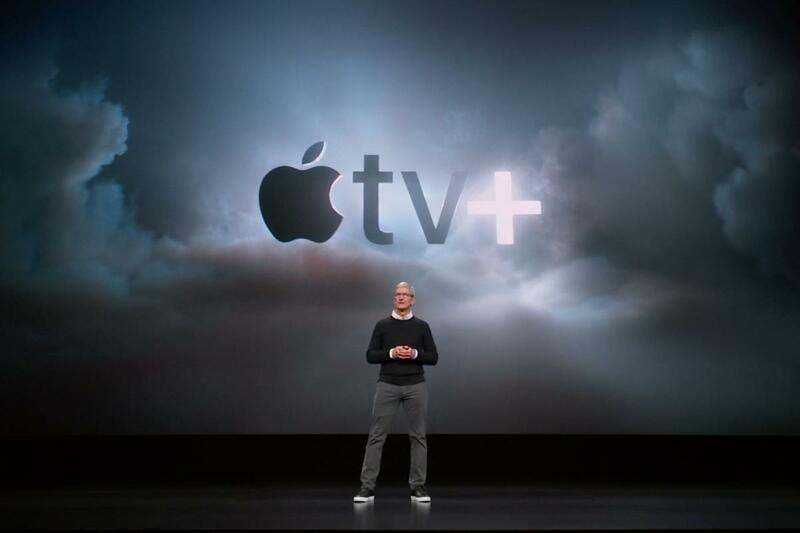 Apple TV+ is more than a new service—it’s the start of a whole new direction for Apple. Apple has a knack for entering a new industry and turning it on its head, but Monday’s event didn’t exactly instill me with confidence. Sure there was a lot of firepower, but big names don’t equal success. The product needs to be worth buying, and when all is said and done, we don’t really know if it is. The truth is, we just don’t know if Apple can be successful studio. Apple may have a built-in audience of billions of eyeballs, but that doesn’t mean they’re willing to spend another $10 a month. But if one thing is clear, it’s that Apple isn’t worried about selling anything just yet. Like Apple’s other transitions, the point of Monday’s event was to start the ball rolling and send a message that things are changing. It’s just going to take a long time to get there.